The power bloc of trustees that has sought to marginalize anyone who questions their actions since November 2011 has struck again. This time, they have threatened the sole voice of Penn State students on the Board. We understand that this power bloc has claimed that there is a conflict of interest between serving on the Board and participating in legal action against the NCAA. However, the Penn State Board of Trustees never voted to accept the NCAA Sanctions, so in fact there can be no conflict. Additionally, how does the “Board of Trustees” threaten individual trustees without taking a vote of the trustees authorizing it to do so? The self-serving actions of the Business & Industry Trustees have brought much harm to our university, and today we are asking our elected representatives in Harrisburg to remove these trustees from the Board. 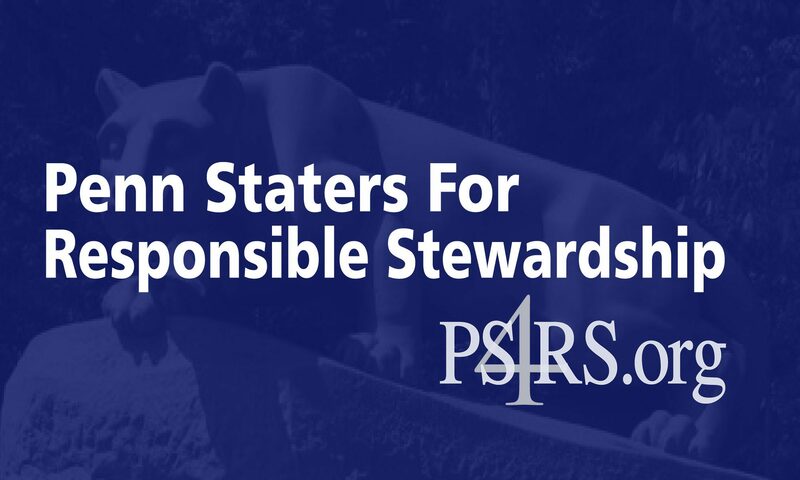 These trustees are chosen through an ill-defined, opaque process — which they refuse to explain — and they simply do not represent any Penn State stakeholders. Their actions continue to demonstrate that their concern is protecting their own interests, rather than the interests of Penn State University. Board of Trustees Seeks to Silence Plaintiffs: Why?